Right now only works on Windows. If you are a fan of linux and open source you can try xfer9860. 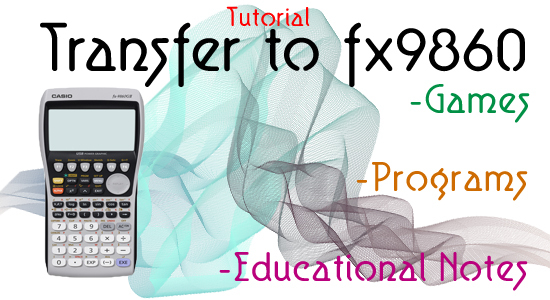 This tutorial will be divided according to the type of files (extensions) to be transferred. You can choose below, the file extension that you wish transfer! 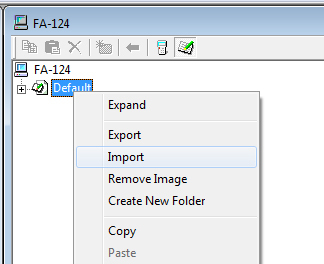 1) Download and install fa-124 in your PC. 2) Connect your casio fx9860 to the computer (via USB) and open fa-124. 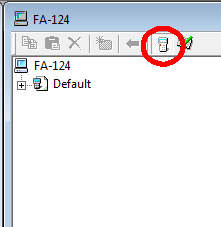 (if it doesnt appear, you should go to Link (select Cable Type: USB, Wakeup: On and Capture: Memory), then press F2). 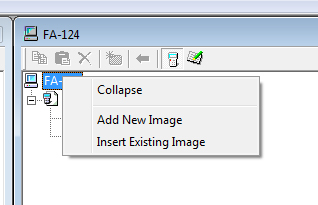 Click with the right mouse button in image name (here is called "Default"), and you choose "Import"
5) Stop calc <-> Pc link, press fa-124 key , and after this, you can safely remove the usb cable. You can read directly eActiviy files from SD card. 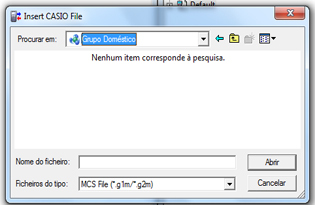 This type of files (known as add-ins) are written in c/c++ using SDK. These files can contain games, programs and tools. 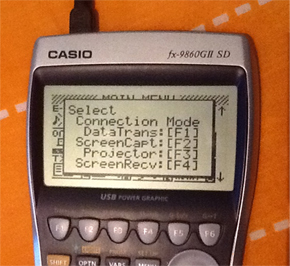 Note: If you own a power graphic 2 calculator, you should check the add-in compatibility list. After, you will have an extra icon in the menu. 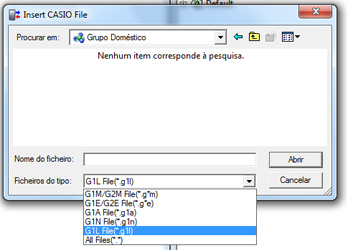 This type of files (known as language add-ins) are used to translate the menus of the calculator. Right now there is only one language add-in released, Russian. 4) Finally open System them press F3 (language), and choose the new language. 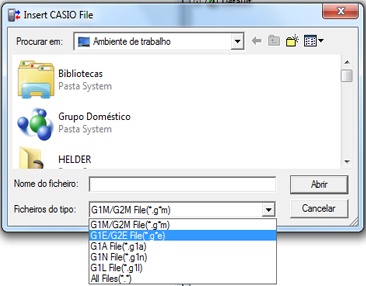 This 2 types of files (known as programs) can contain games, programs and tools. You can run it through the "PRGM" function. They are stored in Main Mem. These programs are often slow, however they are easier to program than add-ins. Tip: You can boost programs speed with the add-in SetCPU by kucalc. 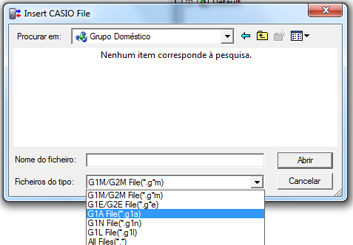 Finally drop file *.g*m to the folder "User1 > Program", in other column (see image below). 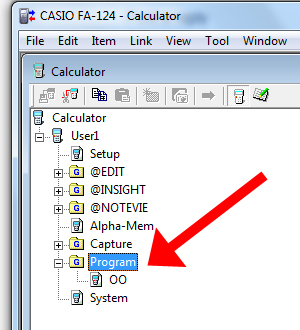 4) On calc, go to "Memory > SD", and here you should select and copy the program file to "Main Memory". This type of files (known as image) can contain several basic sub programs. You can run it through the "PRGM" function. They are stored in Main Mem. These programs are often slow, however they are easier to program than add-ins. 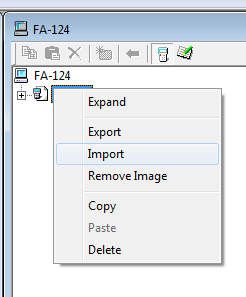 Click with the right mouse button in "FA-124", and you should choose "Insert Existing Image"
Finally drop all image sub files to "User1", in other column (on the left).